A leading global paints and coatings company and a major producer of specialty chemicals. Headquartered in Amsterdam, the Netherlands, their portfolio includes well-known brands such as Dulux, Sikkens, International, Interpon and Eka. They produce a wide range of paints, lacquers and varnishes for wood and metal as well as protective coatings for everything from ships, cars, aircraft, yachts and architectural components (structural steel, building products, flooring) to consumer goods (mobile devices, appliances, beverage cans, furniture) and oil and gas facilities. They are a renowned industrial powder and paint manufacturer through their Interpon brand. Hempel is a world-leading supplier of protective coatings to the decorative, protective, marine, container and yacht markets. Hempel is present in more than 80 countries around the world. We have over 5200 employees, 24 factories, 48 sales offices and more than 150 stock points located strategically around the globe. An industry leader in architectural coatings, industrial coatings, protective and marine coatings, and specialty coatings. They manufacture and sell residential and commercial coatings, interior and exterior paints, industrial coatings for appliances, construction equipment, electronics, automotive parts, building products (including residential and commercial construction), as well as coatings for off shore infrastructure and ships.Through their offshore and marine sectors they are well known as anti corrosion paint manufacturers. Axalta Coating Systems is a leading global supplier of transportation and performance coatings, dedicated solely to the development, manufacture and sale of liquid and powder coatings. Brands include Imron, Excel, Pro, Rival, Challenger, Duxone, and Imlar, protective paint manufacturers for the automotive industry. The US coating and paint industry is booming. The projected value of the market by 2020 is $32 billion, with architectural coatings making up about half of that value. In 2015 the industry employed 287,400 workers and there were over 46,000 paint and coatings establishments across the US. With a booming market comes an increasing variety of coating and paint companies. For the consumer this is great news; it translates to more choice, and more paint companies in USA vying to meet the demands of the market. 3M A technology company with a wide range of products, their coatings include wind turbine blade protective coating, easy to clean coatings for bathroom/kitchen surfaces, and anti corrosion and protective coatings. Brands include Scotchkote. Akzo Nobel inc Manufacturer of architectural coatings such as paints, lacquers and varnishes for wood and metal as well as protective coatings. They also produce industrial coatings and marine coatings. Brands: Dulux, Sikkens, International, Interpon and Eka. Axalta Coating Systems	 Supplier of transportation and performance coatings, as liquid and powder coatings. Brands include Imron, Excel, Pro, Rival, Challenger, Duxone, and Imlar. BASF Corporation A leading chemical company with a range of automotive coatings, industrial coatings, floor- and wall coating systems, sealing systems and solutions for underground mining. Brands include Finestone and Senergy. Behr Process Group	 Behr produces architectural coatings that include paints, primers, stains and waterproofing products. Products are sold in North America under the BEHR, BEHR PRO and KILZ brands. Benjamin Moore & Co	 A leading manufacturer of premium-quality residential and commercial coatings, the brand’s flagship paint lines include Aura, Regal Select, Natura and ben. Benjamin Moore is known for its expansive color portfolio, offering consumers and designers thousands of colors. Cloverdale Paint Inc	 Manufacturers of architectural paint, industrial, and marine coatings, along with certain powder coatings, specialty resins and sealant products. They also have a range of specialty coatings including an anti corrosion coating. Columbia Coatings Manufactures powder coating ovens, booths, spray guns, and other powder coating business supplies. Selling thousands of powders in a wide variety of colors, textures, and finishes. ELANTAS PDG Inc	 Premier supplier specialty coatings such as non-stick, protective, can, industrial, anti-friction coatings, and conformal coatings for electronics. Brand names are Elan-coat and Elan-tech. Elite Powder Coating	 Provides full service preparation of metal parts for electrostatic coating of dry polymer powder and curing of the powder to produce a durable and beautiful skin. Ennis Flint	 Worldwide leader in the traffic safety solutions industry, providing a comprehensive offering of pavement marking solutions. The company’s wide range of products are utilized on roads and highways, taxiways, runways, parking lots, and in commercial, contractor, governmental, industrial, airport and architectural settings. Farrell-Calhoun Inc.	 Manufacturers of architectural and industrial-maintenance coatings. Primers, interior and exterior paints, industrial coatings, caulks, sealants and more. Brands include Tuff-Boy and Wood Kraft. Gemini Industries	 Manufacturers and distributors of an extensive line of coatings, aerosol products and touchup materials for the architectural wood finishing market. Interior & exterior wood coatings for architectural and industrial applications. Hempel (USA) Inc. Protective, marine, decorative, container and yacht coatings. They produce award winning coatings, such as Hempaguard and Hempadur Avantguard. Jotacote, Jotafloor, Jotapipe, Seaforce and more. Kansai Paint Inc.	 Manufacturers of a wide variety of paint in the automotive, decorative, protective and industrial sectors. The company uses Alesco as its corporate brand. Kelly-Moore Paint Co. Inc. Produces architectural coatings for interior and exterior application. Brands include DuraPoxy, AcryPlex, and EnviroCoat. Lanco Paints & Coatings	 Manufacturers of architectural coatings and wood finishes, industrial adhesives and high performance sealants. Products include Maxima, Supra, Complete, and Duratone. Nippon Paint (USA)	 One of the largest suppliers of automotive coatings, trade-use paints, industrial paints, marine coatings, and road paints. Brands include Dunn-Edwards, NB Coatings, and Odemarine. 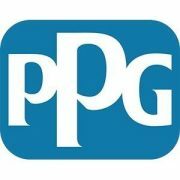 PPG	 Supplier of architectural coatings, industrial coatings, protective and marine coatings, and specialty coatings. Brands include Glidden, Leyland Paints, Liquid Nails, Sico and Olympic. RPM International	 Manufacturer of high-performance industrial, consumer and specialty coatings, primarily for maintenance and improvement applications. Brands include Rust-Oleum, DAP,Tremco, Zinsser, Varathane, and Testors. Powder X – Coating Systems Powder-X provides the highest quality powder coating equipment in the industry. We fully equip users through comprehensive training, support and constant education to properly use and get the most out of their systems. Shawcor Ltd	 Produces field applied coatings and pipeline coatings. Specialized industrial coatings. The Sherwin-Williams Co. Supplier of architectural and industrial coatings, including protective and marine coatings, and a high performance anti-corrosion line. Brands include Sherwin-Williams, Dutch Boy, Krylon, Minwax, and Thompson’s Water Seal. Saint Clair Systems Saint Clair Systems is the industry leader in developing customized fluid process control systems that reduce scrap, rejects, solvent use, labor and harmful emissions while improving the bottom line. Sika Corporation US	 Manufacturers of architectural and industrial coatings, including specialty coatings such as waterproofing and fireproofing coatings. Suncoatings Inc. Produces an array of architectural and light-industrial coatings, from floor to roof coatings and everything in between. Products include ULTRASPREAD, SunKote, and Sun-Pro. TIGER Drylac U.S.A. Inc. Specializes in powder coatings and ink for industrial, architectural, military, automotive, interior and exterior applications. Tnemec Company Inc. High-performance industrial coatings, for superior abrasion, chemical and corrosion resistance to interior linings, flooring and wall systems, and fluid-applied thermal insulation. Coating systems for exterior and interior. True Value Company	 Produces architectural coatings for interior and exterior applications. Brands include EasyCare, Woodsman, and X-O Rust. The Valspar Corp. Creates architectural, industrial, maintenance and container coatings. Brands include Wattyl, PlastiKote, DeBeer Refinish, Cabot, and Guardsman. Vista Paints	 Manufacturers of architectural and industrial coatings, including nanocoatings. Brands include Jaeger, Jansen, and NCoat. Yenkin-Majestic Paint Corp	 Manufacturer of coatings and resins, architectural paints for interior and exterior as well as industrial coatings. Want to list your company or update any information? Feel free to contact us using our contact form.